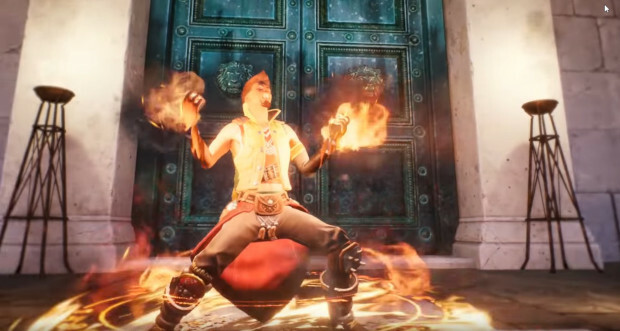 Early Access players of QC Games’ ARPG Breach will be able to try out a fiery new class today, the Pyromancer. And they’ll be able to do it without spending any money on him. The Pyromancer arrives along-side today’s maintenance, and unlike the other classes is a permanent free character. There is one catch, however, Early Access players wanting to obtain the Pyromancer for free must enter the code “FREEPYRO” in the Breach launcher following today’s maintenance — but before February 6 at 11:59 PM. As for today’s update, it includes several additions and fixes, as well as some drops in the amount of gold it takes to purchase some of the classes. (The Exorcist drops from 15,000 gold to 9,000.) Those interested in reading the patch notes can do so on the game’s Steam page.